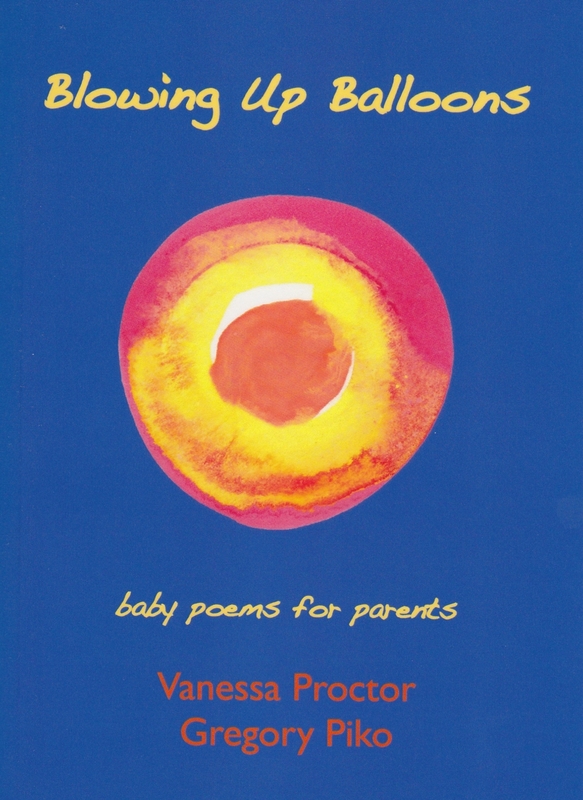 Blowing Up Balloons: baby poems for parents by Vanessa Proctor and Gregory Piko was published by Red Moon Press. You can purchase copies here. My haiku can often be found in the following print journals: Windfall (Australia), Kokako (New Zealand), Presence (United Kingdom), Modern Haiku (United States) and Frogpond (United States). One or more of my poems has appeared in each of the following collections. These publications should still be available from the suppliers noted below. Edited by Declan Foley from Melbourne and published by Lilliput Press in Ireland, Yeats 150 is a beautifully produced collection of essays commemorating the life and work of Irish poet and Nobel Laureate, William Butler Yeats. This volume also includes the winning poems from the Yeats Poetry Prizes for Australia, Ireland and the USA. As my poem, The Man With Only One Eye, was joint winner of the 2013 WB Yeats Poetry Prize for Australia, it appears in the book. Yeats 150 is available in paperback and in Limited Edition boxed, hardcover form. It can be purchased from Lilliput Press. Haiku in English is an anthology of more than 800 short poems spanning the hundred years since Ezra Pound first published In A Station Of The Metro. Other poets appearing in the collection include Wallace Stevens, Amy Lowell, E. E. Cummings, Allen Ginsberg, Gary Snyder, Jack Kerouac, Seamus Heaney, William J Higginson, Elizabeth Searle Lamb, Janice Bostok and many celebrated haiku practitioners of today. I was honoured to have one of my haiku included in this important collection. Haiku in English is available in either paperback or hardcover. It can be purchased from the publisher, WW Norton, and from Amazon and other suppliers. Edited by Jim Kacian and Dee Evetts, and published by Red Moon Press, this volume of A New Resonance features 15 of my haiku along with the work of other emerging haiku poets from around the world. A New Resonance 7 can be purchased from Red Moon Press. Voices from the Valley: an anthology of stories and verse Vol. III by Yass Valley Writers. Please drop me an email from the Contact page if you would like to obtain a copy. Poetry Bridges: Canberra/Nara Commemorative Anthology, edited by Saeko Ogi, Amelia Fielden and Noriko Tanaka is available from Ginninderra Press. Nourish Poetry, Issue 1, 2018 is available from Amazon. Haiku: A Concise Anthology, edited by Santosh Kumar is available from Cyberwit.net and Amazon. They Gave US Life: Celebrating Mothers, Fathers & Others in Haiku, edited by Robert Epstein is available from Amazon. ear to earth: An Anthology of Australian Poetry 2017 is available from Central Coast Poets, New South Wales. Vine Leaves Literary Journal edited by Jessica Bell is available from various online retailers. Please see details on the Vines Leaves Press website. The Wonder Code by Scott Mason is available from Scott’s website, Wonder Code. Write like Issa: a haiku how-to written by David G Lanoue is available from David’s website, HaikuGuy. Poetry d’Amour 2016, an anthology of love poems selected by Amanda Joy is available from WA Poets. Poems to Wear: from Japan and Australia, selections by Noriko Tanaka and Amelia Fielden is available from Ginninderra Press. Flood, Fire & Drought, edited by Suzanne Edgar, Kathy Kituai, Sandra Renew and Hazel Hall is available from Ginninderra Press. A Vast Sky: An Anthology of Contemporary World Haiku, edited by Koko Kato, Dietmar Tauchner, Patricia Prime and Bruce Ross is available from Amazon. Nest Feathers: Selected Haiku from the First 15 Years of The Heron’s Nest, is available from The Heron’s Nest. My poem, Remembering László, was Shortlisted for the 2011 Page Seventeen poetry competition. The poem was included in Issue 9 of the annual anthology which is available from Page Seventeen. Haiku 21: an anthology of contemporary English-language haiku, edited by Lee Gurga and Scott Metz is available from Modern Haiku. The Sacred In Contemporary Haiku, edited by Robert Epstein is available from Amazon.